Report From the 6th International Browserday | JONAH BRUCKER-COHEN, PH.D. Report From the 6th International Browserday – JONAH BRUCKER-COHEN, PH.D. The Paradiso, an old church turned nightclub in the heart of Amsterdam, was an unlikely venue to collide with visions of Internet future presented by over 30 participants during the 6th International Browserday. After successful past runs in Amsterdam, New York, and Berlin, Browserday’s founder Mieke Gerritzen started the festival on the simple notion that the Internet is far too rich a medium for expression to be siphoned through the existing canon of Netscape and IE. Browserday is an opportunity, challenge, and competition for young designers and artists to destroy the status quo of what it means to “browse” information both online and offline and come up with new alternatives and precedents. This year, Browserday’s theme was “Mobile Minded: Rich Air”, a testament to our increasingly mobile existence and growing dependencies on cell phones, PDAs, GPS, and wireless networks. A festive “Browser Dinner” designed by media artist Shulea Cheang took place the night before in a large greenhouse outside of the city. The dinner featured waiters dressed as cyborgs and only serving food to hungry guests who made the most audible bleeps with their cell phones. 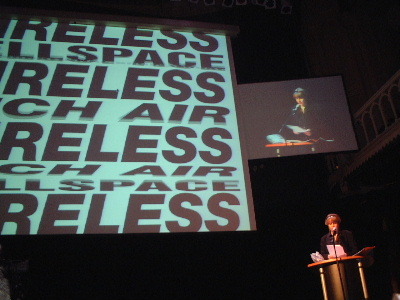 The event itself was hosted by the lively John Thakara of Doors of Perception fame and began with the presentation, “Klima Kontrolle”, a funny gag where Roel Wouters and Luna Maurer from Amsterdam’s Sandberg Institute plugged in a desk fan and pointed it at a Mac laptop causing the desktop to gradually blow off the screen. Among the themes mentioned throughout the evening included technology’s relationship to the body, connections between public and private spaces, data surveillance and customization, control of information flow, and the emotional and social structures of human/computer interfaces. After the presentations concluded, the jury announced a short list of five nominees and the winner of the event. The finalists included: “Instinct” – a proposal to color-code our cell phone address books according to the real-time mood and physical state of our friends. “Emotional Landscapes” – a future emotional data-layer of an urban space where people could leave traces of the emotions they felt in distinct locations via GPS tracking. “Abbreviated Lifestyles” – five timepieces that attempted to restructure our lives based on time-based systems such as keeping track of our dreams and aspirations over a lifetime. “Browsing the Air” – an enthusiastic trio from Berlin who presented a plan to encrypt SMS messages sent between mobile phones. “My Browser”, by Bob Stel and Lauran Ory also of the Sandberg Institute, which ultimately won the event, featured a video presentation of a dying old man describing his personal attachment to his browser. Speaking of the browser as if it was his only companion, the project emphasized the idea that in the future our personal attachments to technology will ultimately become more important than simply using technology. Other honorable mentions included “Body Mnemonics”, a comment on how information can be ultimately something stored on our body itself where different locations signify different types of data. For instance, you might keep your enemies information on your neck and give the phrase “pain in the neck” entirely new meaning. Also interesting proposals were “Flesh- Machine”, a dynamic tattoo that changes its appearance and stores information as your body changes, and “Tired to Be Wired, No Strings Attached” a video presentation about the rise of Internet telepathy in a not-so-distant future. Following the student presenters were two guest speakers, along with short talks by past winners of Browserday including myself, Joes Koppers, and Victor Vina. Tim Pritlove of Berlin’s Chaos Computer Club (http://www.ccc.de) (the world oldest hackers club founded in 1981), gave an inspiring presentation on the freedom of information and accessible public interfaces. After defending the true meaning of the term “hacker” as philanthropic rather than menacing, Pritlove described CCC’s latest coup/project, “Blinkenlights” (http://www.blinkenlights.de) as a culmination of the group’s 20t year history. The Blinkenlights project, which turned a 12 story building in Germany’s Alexanderplatz into a low-res computer monitor using high-powered controllable lights in every window, was the club’s attempt at making the first ever dynamic, multi-user public display. 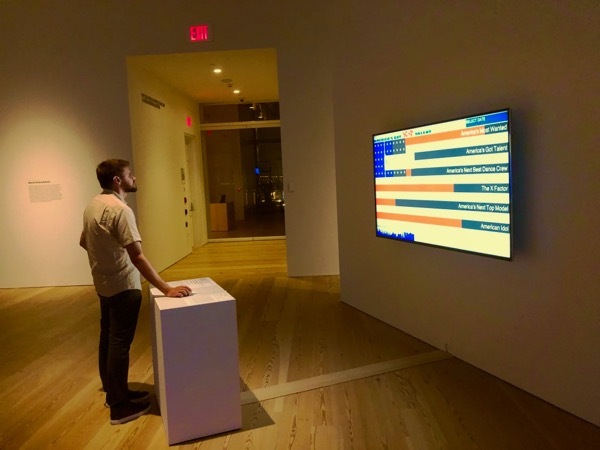 He showed examples of passersbys playing Pong on the building with their mobile phones, sending in customized animations created with homemade BlinkenPaint software, and even adding “hacks” to the open-source software running the installation. Between student presentations was also a demo by Jaap de Dulk, the person responsible for porting Japan’s wildly successful I-Mode phones to KPN (Dutch Telecom) and the European market. Dulk described ways to implement homemade I-Mode sites and showed some of the features unique to the platform in Europe such as SPS (Short Picture Service), a new sibling to SMS that lets you send graphics and animations to other people. After the presentations and winners ceremony ended, techno and hip-hop beats filled the Paradiso’s terraced interior. The advent of Browserday sparked hope that the future of information retrieval, access, and dissemination will escape the control of mega-corporations or governments. The “browser” itself no longer holds the same meaning it did in the early days of the Net. Instead of thinking of a browser as something that displays information, Browserday is challenging us to question how the information itself will dictate and adapt its own delivery mechanisms. Ultimately, the browser is becoming less of a signifier for the web than a way of manipulating and exploring the dynamic of social and personal data flow. The next International Browserday will take place in Montreal, Canada next spring.